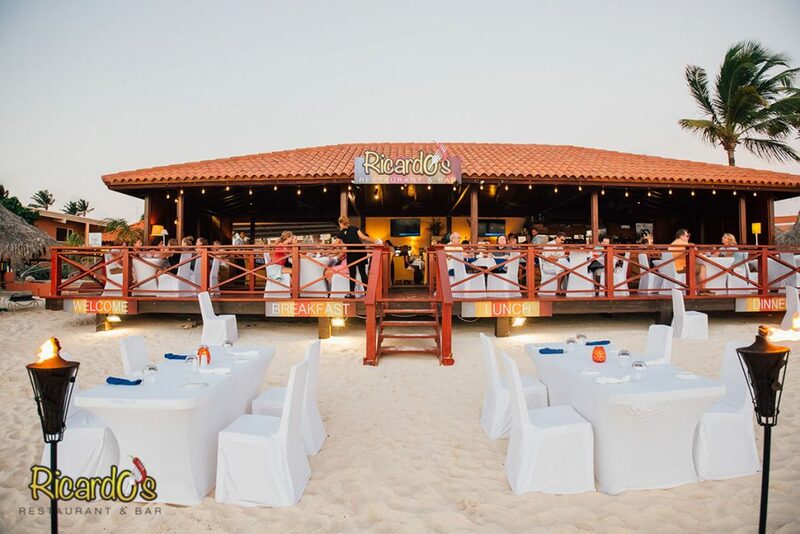 It begins with the perfect location. 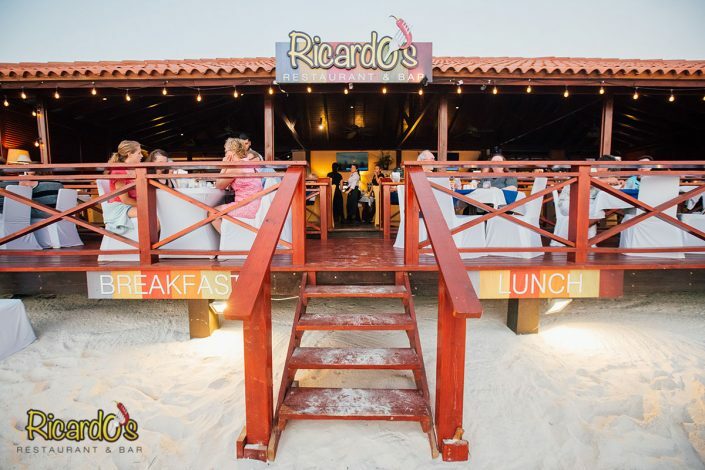 For Ricardo’s, that turned out to be the Aruba Beach Club Resort, located directly on Punta Brabo Beach between Manchebo Beach to the North and Divi Beach to the South. 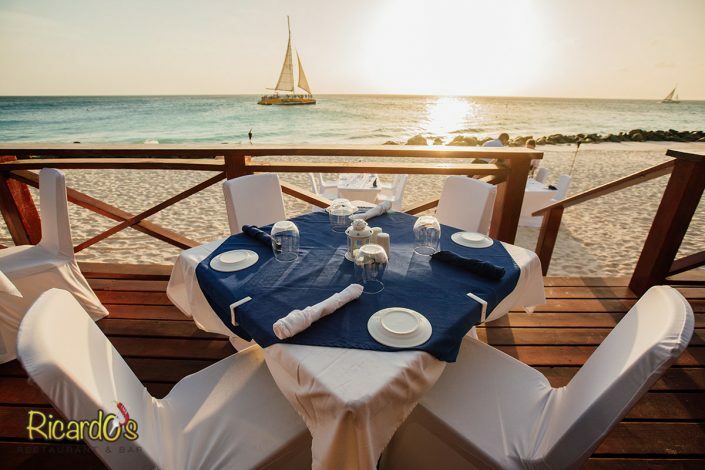 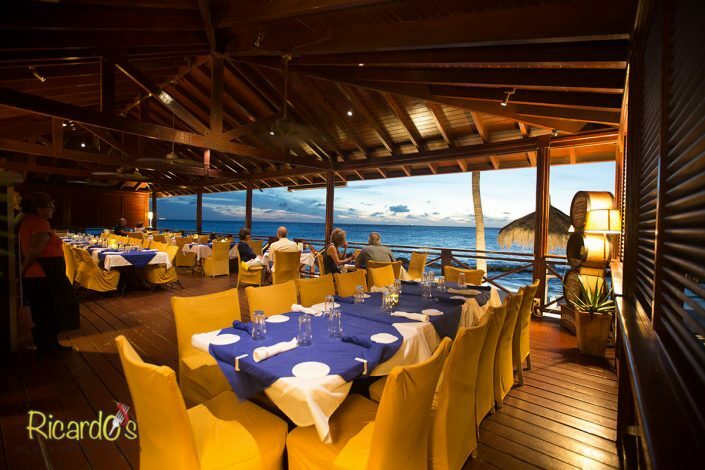 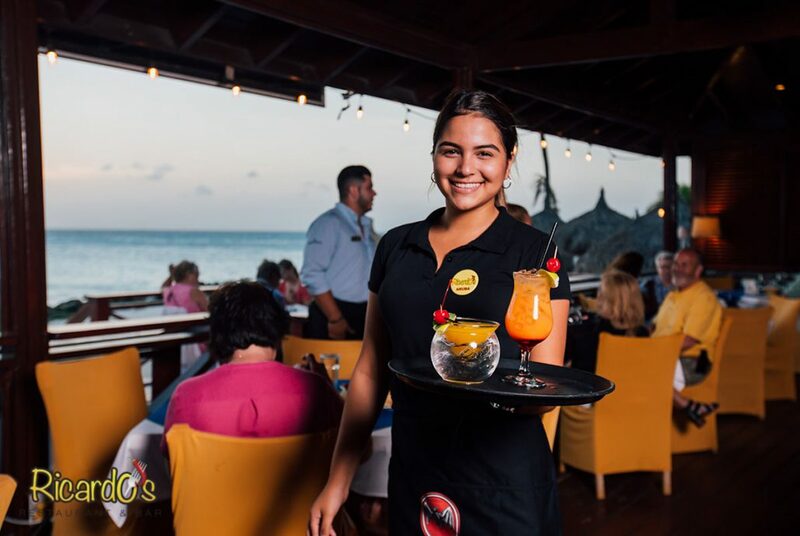 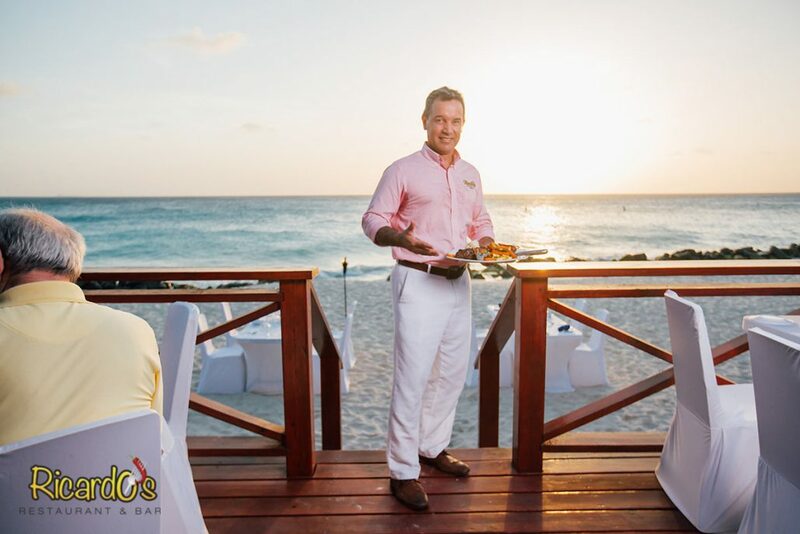 You simply can’t beat gorgeous sunset ocean views from our deck and on-beach dining areas! But putting together this kind of superior dining venue takes more than the perfect location. 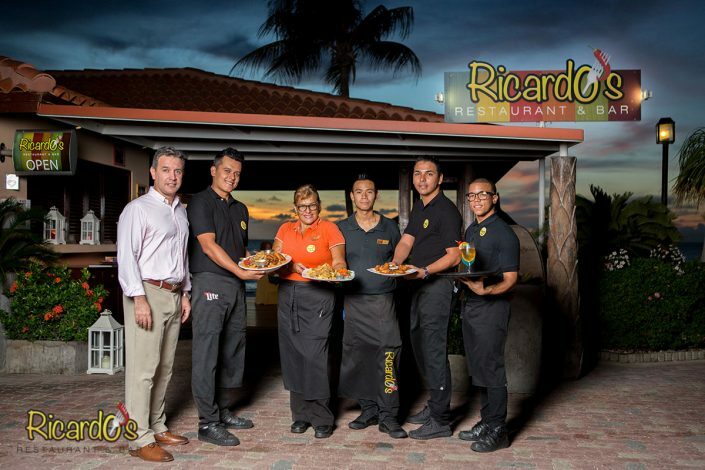 It also takes a person with the vision and passion needed to turn dreams into reality, and that is exactly what Ricardo brought to the table in 2014 — vision and passion. 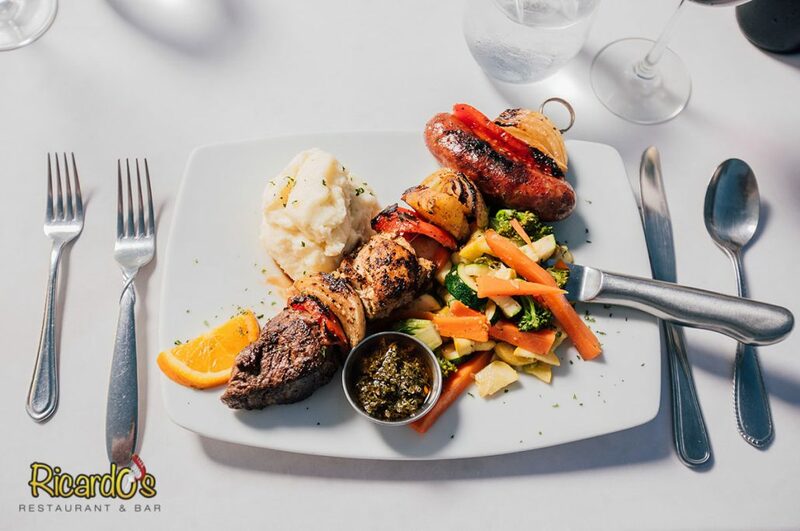 The results are right here for you to come see and taste for yourself! Good Food, Good Folks, Good Fun, Good Views! 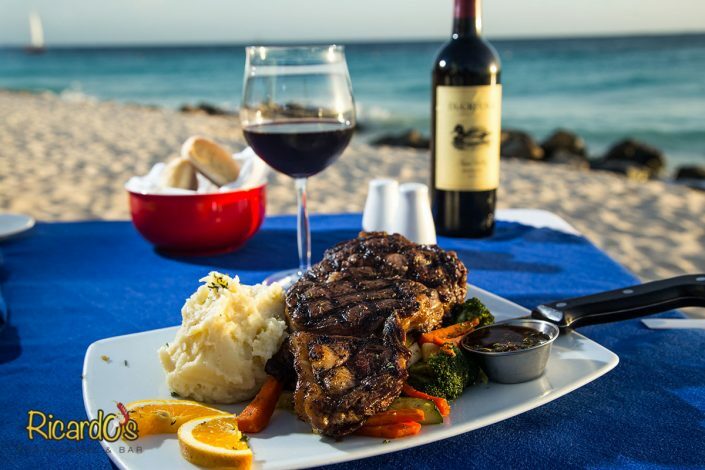 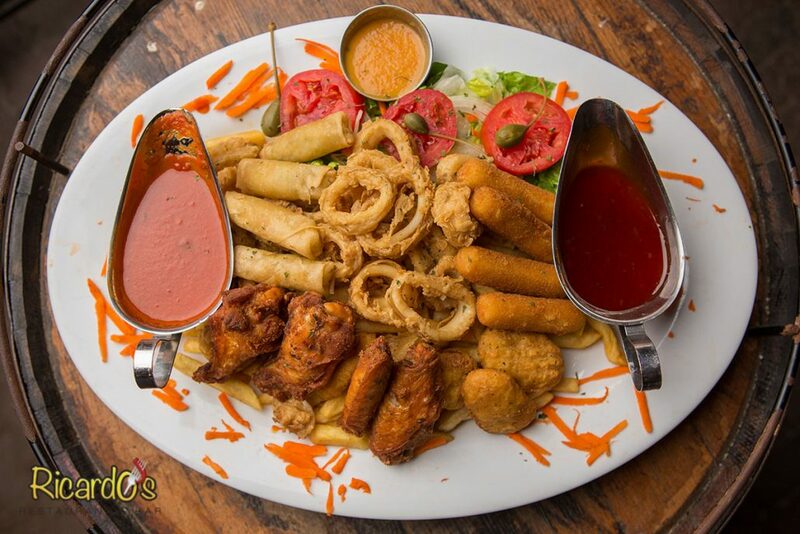 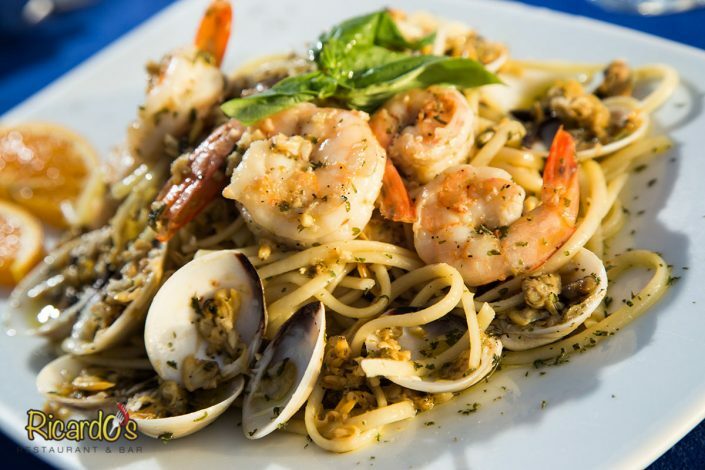 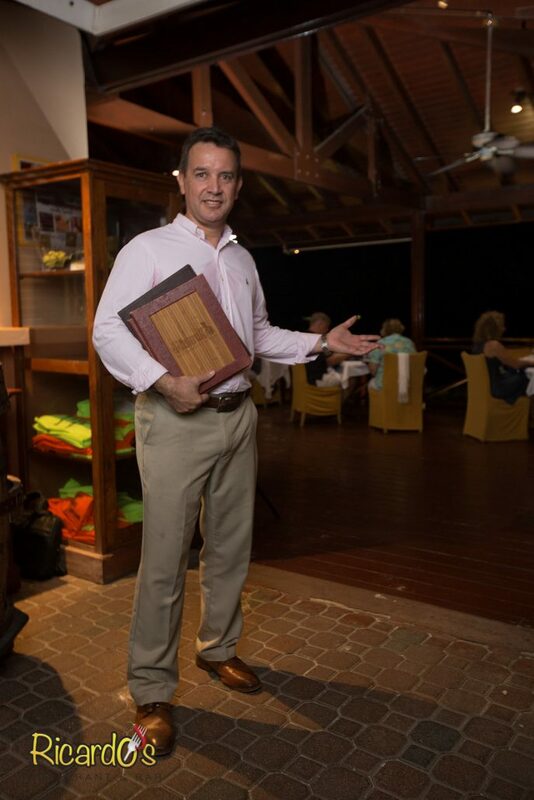 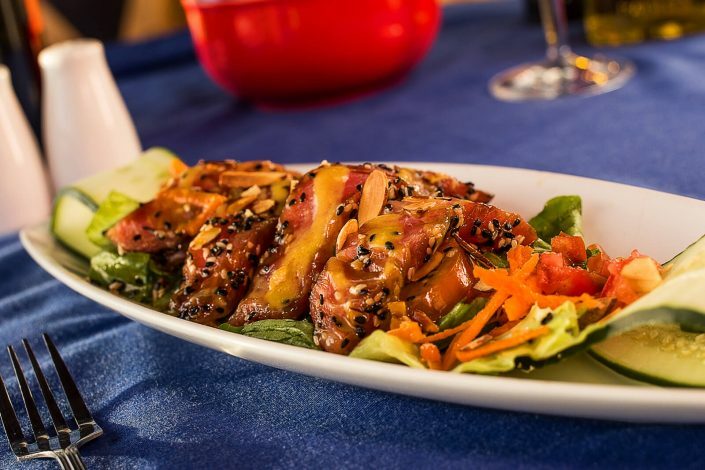 At Ricardo’s Good Food means our carefully crafted menu features the best in Aruban Cuisine as well as a large selection of international dishes to ensure everyone will find something to satisfy their appetite. 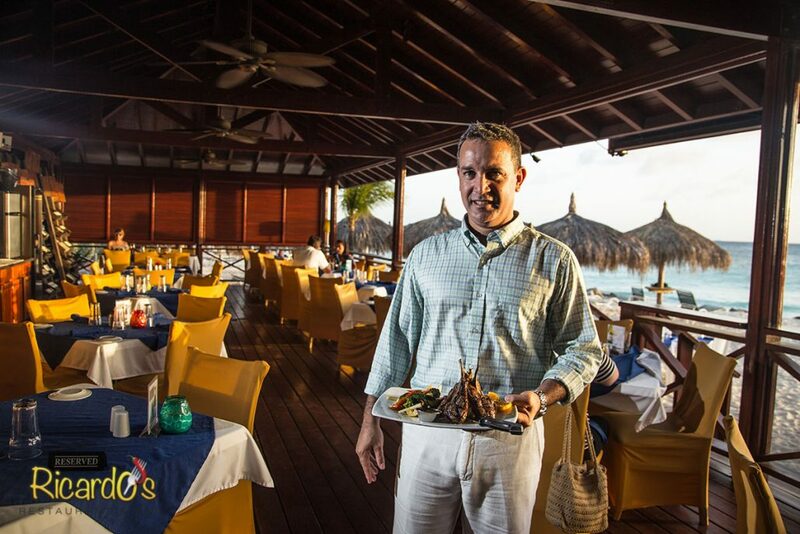 Monday features our All-You-Can-Eat BBQ Ribs special that has become a mainstay for many One Happy Island diners. 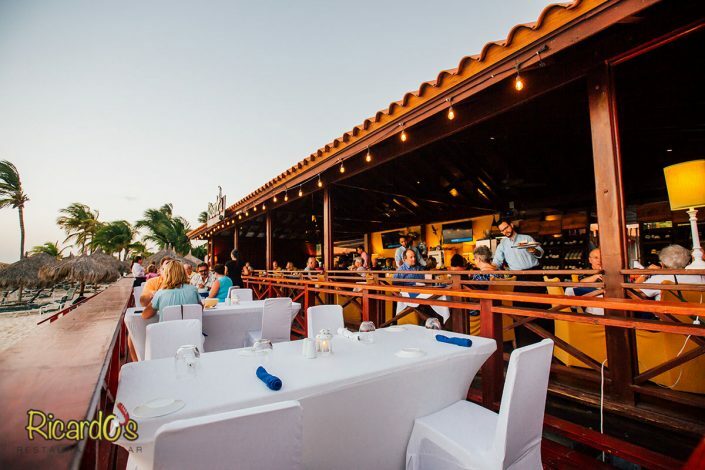 The same holds true for our Wednesday All-You-Can-Eat Grouper night with super-fresh, locally caught grouper fillets prepared in a variety of styles. 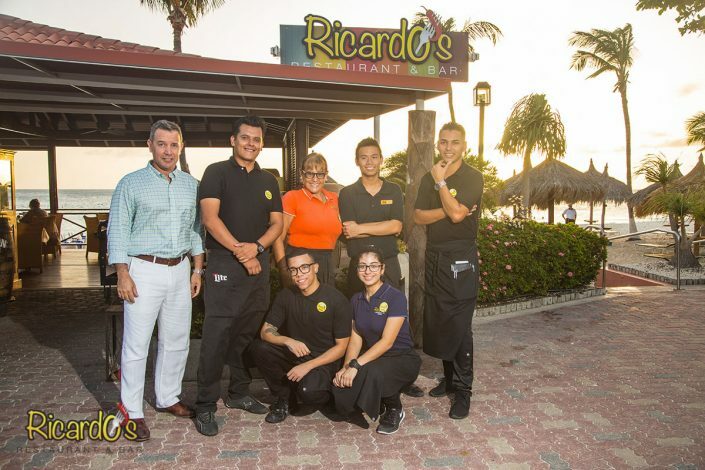 What does Good Folks mean at Ricardo’s? 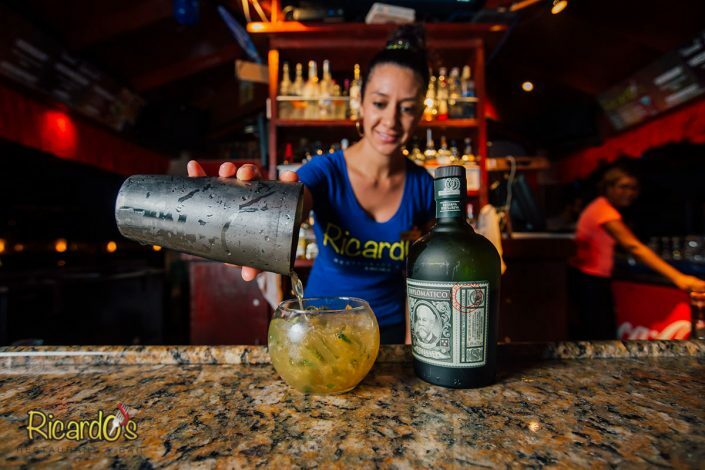 It means bartenders and servers who are quick to smile and go over and above the call of duty to make sure you’re enjoying your time at Ricardo’s. 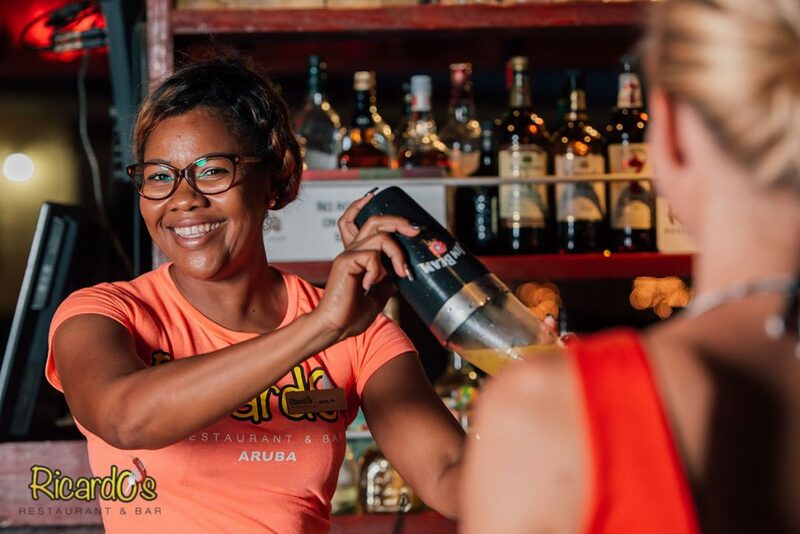 For Good Fun, we offer THREE different Happy Hours from 12-1 PM, 4-6 PM, and 9-10 PM during which you’ll enjoy drink specials and live entertainment from local musicians. 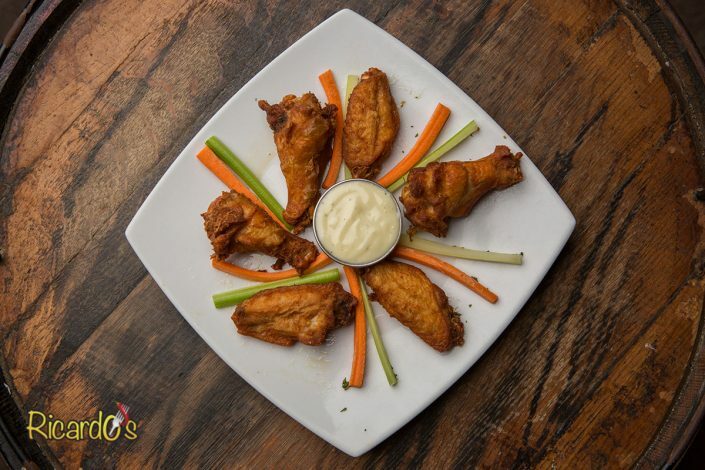 But by far the most fun to be had is every Thursday night at 9 PM when we kick off our weekly Karaoke Dance Party. 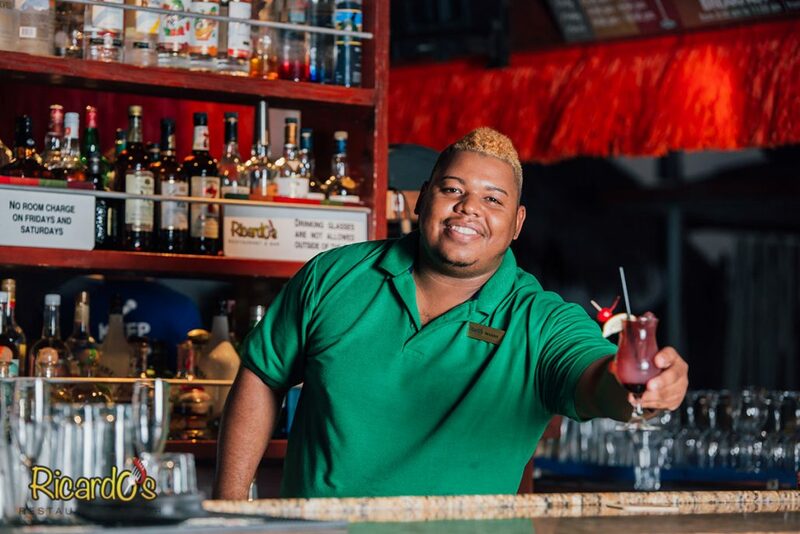 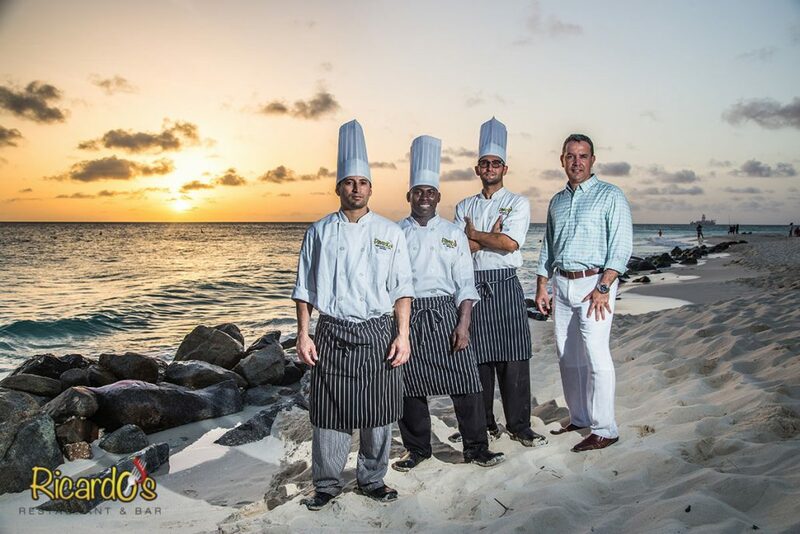 We pull out all the stops to show you how we party on the island! 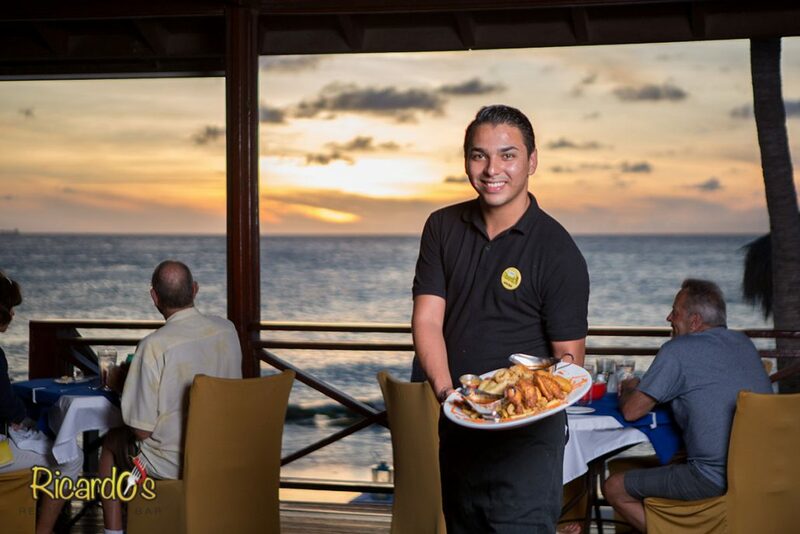 And what can we say about Good Views? 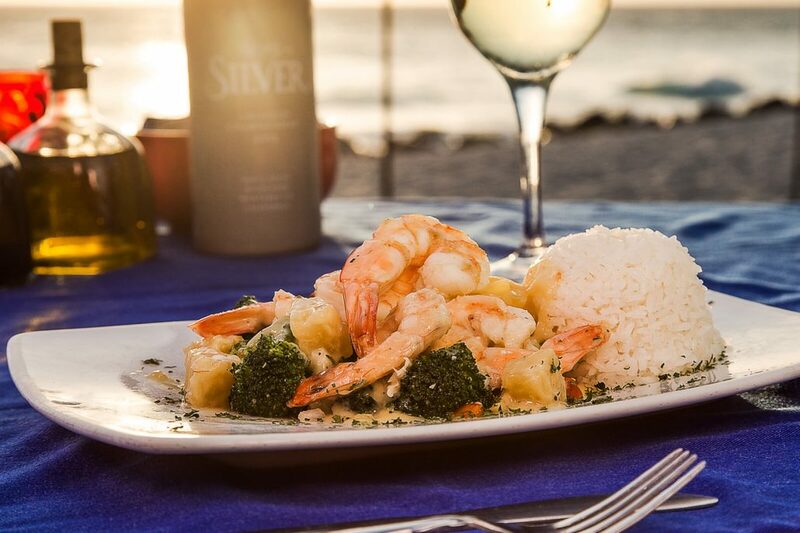 Really, you just have to come and see for yourself!